But [Robson] writes in with an interesting story that gives us hope that the “old ways” aren’t gone completely, though they’ve certainly changed for the 21st century. After blowing out his laptop’s USB ports when he connected a suspect circuit, he was desperate for a fix that would fit his student budget (in other words, nearly zero). Only problem was that he had no experience fixing computers. Oh, and it takes months for his online purchases to reach him in Brazil. Off to a rocky start. His first bit of luck came with the discovery he could purchase schematics for his laptop online. Now, we can’t vouch for the site he used (it sure isn’t direct from Dell), but for under $5 USD [Robson] apparently got complete and accurate schematics that let him figure out what part was blown on the board without even having to open up the computer. 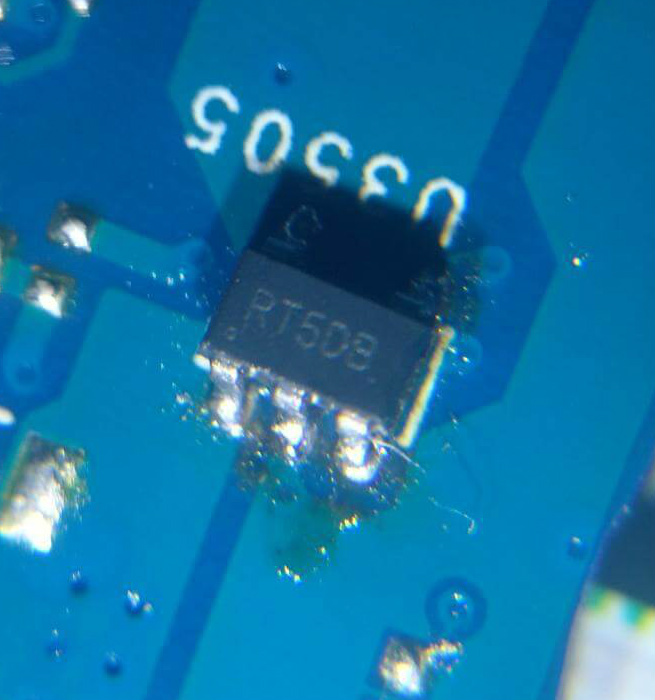 All he had to do was order a replacement IC (SY6288DAAC), and solder it on. It took two months for the parts to arrive, and had to do it with an iron instead of a hot air station, but in the end, he got the part installed. Traffic lights! Kids love them, hackers love them, and they’re useful in industrial contexts to see if the giant machine is currently working or having a bad day. While the real deal are unwieldy and hard to come by, there’s nothing stopping you tackling a fun cardboard build at home. It’s a great way to teach kids about traffic rules, too. In this case, the light is courtesy of WS2812b LED strips. They’re a great choice, as they interface easily with most microcontrollers thanks to readily available libraries. An ESP8266 runs the show here, serving up a basic web interface over WiFi. This allows the color of the various LEDs to be controlled remotely. It also allows the lights to be switched on and off to direct whatever traffic you may be controlling. The whole project is all wrapped up in a simple cardboard enclosure, mimicking the municipal street furniture which so resolutely commands our movements. The cardboard traffic light is a project that shows just what can be done with some off-the-shelf parts and some good old-fashioned kindergarten-style arts and crafts. If you find yourself similarly admiring these devices, check out our primer on the North American traffic signal. Video after the break. One of the best examples of the playification of musical instruments is Pocket Operators from Teenage Engineering. They’re remarkable pieces of hardware, and really just a custom segment LCD and a few buttons. They also sound great and you can play real music with them. It’s a game changer when it comes to enabling musicianship. Of course, with any popular platform, there’s a need for an Open Source copy. That’s where [Chris]’ Teensy Beats Shield comes in. It’s a ‘shield’ of sorts for a Teensy microcontroller that adds buttons, knobs, and a display, turning this into a platform that uses the Teensy’s incredible audio system designer. When it comes to the world of microcontrollers and audio processing, the Teensy is a champ. The Teensy Audio Library has polyphonic playback, recording, synthesis, analysis, and effects, along with multiple simultaneous inputs and outputs. If you’re building a tiny synth that can fit in your pocket, the Teensy is the way to go, and [Chris]’ Teensy Beats Shield does it all, with a minimal and useful user interface. You can check out a video of the Teensy Beats Shield below.